"Why Was Jesus Tested for Forty Days in the Desert?" "Why Was Jesus Tested for Forty Days in the Desert?" The Gospel for the First Sunday of Lent in 2015 commemorates Jesus’ forty days of testing in the desert. Jesus decided to spend forty days of testing in the desert as preparation for His adult ministry (forty days is the traditional number for spiritual testing). The reason He chose to begin His ministry with a time of testing was to (a) set an example for us, (b) reveal His identity as Son of God to the opposing supernatural forces, and (c) reveal the nature of His ministry as Messiah to us. Here is how the Catechism of the Catholic Church(CCC) explains the event (538): The Gospels speak of a time of solitude for Jesus in the desert immediately after His baptism by John. Driven by the Spirit into the desert, Jesus remained there for forty days without eating; He lived among wild beasts, and angels ministered to Him [cf. Mk 1:12-13]. At the end of this time Satan tempted Him three times, seeking to compromise His filial attitude toward God. Jesus rebuffed these attacks, which recapitulated the temptations of Adam in Paradise and of Israel in the desert, causing the devil to leave Him “until an opportune time” [Lk 4:13]. The Catechism continues (539): The evangelists indicated the salvific meaning of this mysterious event: Jesus is the new Adam who remained faithful, unlike the first Adam who gave in to temptation. Jesus fulfilled Israel’s vocation perfectly: in contrast to those who had once provoked God during their forty years in the desert, Christ revealed Himself as God’s Servant, totally obedient to the divine will. In this, Jesus is the devil’s conqueror: He “binds the strong man” to take back his plunder (cf. Ps 95:10; Mk 3:27). Jesus’ victory over the tempter in the desert anticipates victory at the Passion—the supreme act of obedience of His filial love for the Father. The CCC(540) says that Jesus’ temptation reveals the way in which the Son of God is Messiah, contrary to the way Satan proposed to Him and the way men wish to attribute to Him (cf Mt 16:2 1-23). This is why Christ vanquished the Tempter for us: “For we have not a high priest who is unable to sympathize with our weaknesses, but one who in every respect has been tested as we are, yet without sinning” (Heb. 4:15). By the solemn forty days of Lent, the Church unites herself each year to the mystery of Jesus in the desert. 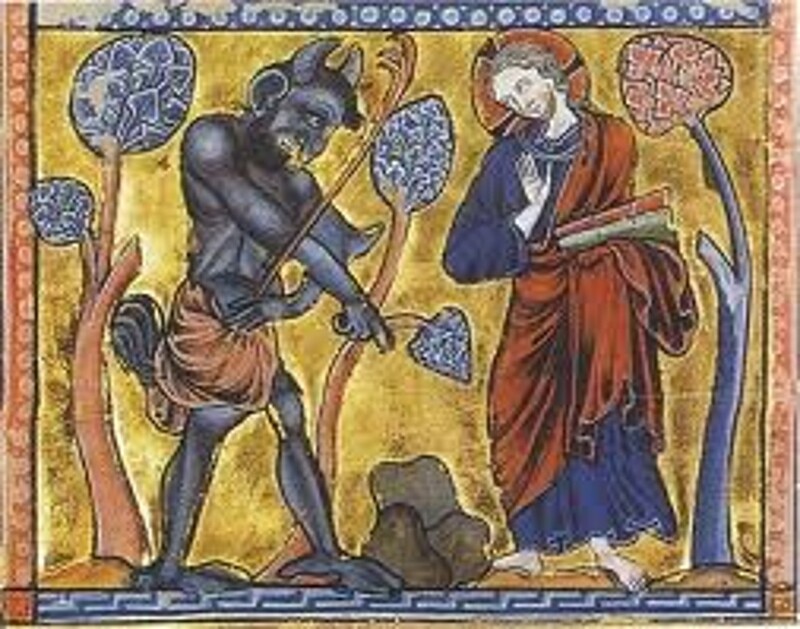 CCC 566: The temptation in the desert shows Jesus, the humble Messiah, who triumphs over Satan by His total adherence to the plan of salvation willed by the Father. One additional thing that should be known is that the biblical term for “tempting” is the same as the term for “testing.” Jesus was not tempted in the sense that we are—that is, having evil desires—but in the sense of being tested to see if it was possible to tempt Him in the sense of giving Him evil desires. He was not capable of receiving such desires because of His infinite holiness as Son of God.